Ziel's Classics come in a range of styles, each one thoughtfully created by our in-house design team. Each item is designed to flatter using high quality, soft, durable fabrics that can be sublimated. Think of these styles as blank canvas. Together, we will create apparel that powerfully expresses your brand personality. Choose from unlimited colors, and create designs ranging from subtle logo placement to full garment patterns. As with all our apparel, Ziel uses only high quality fabrics, tried and true designs, eco-friendly manufacturing processes, and we make each item here in the USA. 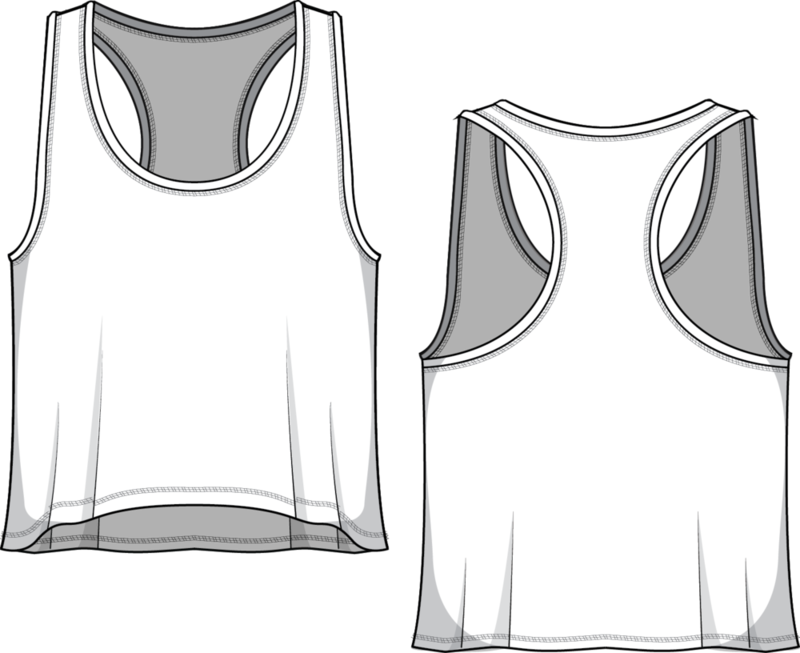 Fit & Intent: Muscle Tank is an A-line, loose fit that is fitted around chest and loose at hem, U-neck, low arm holes, thin racerback tank with Active seam side seams and raw edge on neck & armhole trim. The A-line is best for cycling, cardio, and running. 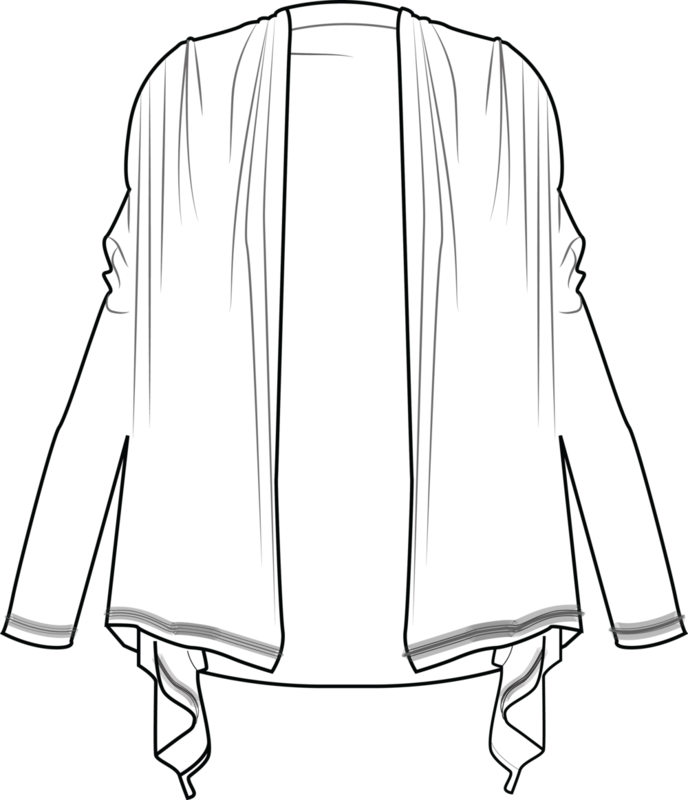 Fabric Base Colors: White, Creme, Grey and Charcoal. Fabric Content: This style is available in our Basic and Dove fabrics. Basic is our 97% Poly, 3% Spandex tee weight fabric available in in 2 base colors White and Grey. Dove is our extra soft, heathered 92% Poly, 8% Spandex in 3 base colors: Creme, Grey and Charcoal. Finishing Options: Active seam side seam coverstitch hems and double edge neck and armhole binding. Eco-impact: Dyed without water & chemicals, no over-production, focus on minimal waste. Fabric sourced in the USA. Made to order in the USA. Fit & Intent: Boxy- loose fit, low U neck, low arm holes, short racerback tank with Active seam side seams and double edge on neck & armhole binding. This tank is best over a sports bra for any work out. Fit & Intent: Relaxed slim fit, Low U-neck, long, racerback tank with Active seam side seams and double edge on neck & armhole binding. 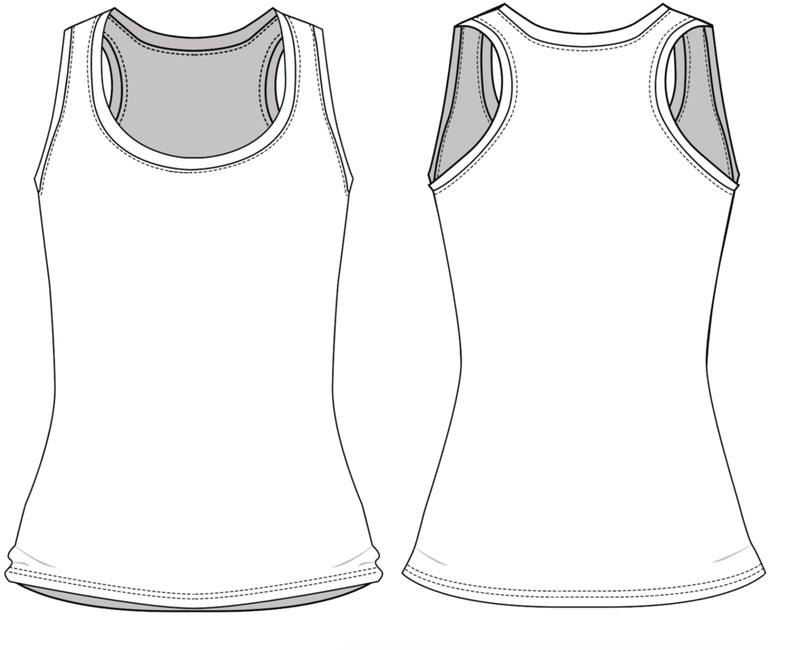 This tank has a more relaxed fit that the Fitted Tank, with lower arm holes and neck. It is suited for any activity. Fit & Intent: Slim Fit, High U-neck, long, racer back tank with Active seam side seams and double edge on neck & armhole binding. Great layering basic for everyday or any exercise. Comes in both our digitally printable fabrics, Dove & Basic. Finishing Options: Active seam side seam coverstitch hems. 1/4" rib trim for a clean neckline and more structure. Fit & Intent: Form fitting tank with flattering contouring panels to create a corset- like feminine silhouette. High halter neckline for more coverage and back mesh insert for breathability. Seams are sewn using active seam for a more seamless feel and finished with self-binding for armhole and back neck. Fabric Content: This style is available in our digitally printable CremeBrulee 84% Poly, 16% Spandex and recycled 80% Recycled Poly, 20% Spandex mesh. Finishing Options: Active seam side seam coverstitch hems. 1/2" compression trim on neck, arm and back straps. Eco-impact: Dyed without water & chemicals, no over-production, focus on minimal waste. Fabric knit in Canada, sourced in the USA. Made to order in the USA. Fit & Intent: Form fitting tank with flattering contouring panels to create a corset- like feminine silhouette. Low neckline for a more coquette cut and back mesh insert for breathability. Seams are sewn using active seam for a more seamless feel and finished with self-binding for armhole and back neck. Fit & Intent: Low support, mesh U- neck sports bra with asymmetrical mesh front & racerback panel. The asymmetrical bra is great for warm ups, jogs, beach vollyball or cardio. Fabric Content: This style is available in our digitally printable CremeBrulee 84% Poly, 16% Spandex. Finishing Options: Active seam side seam coverstitch hems. 1/4" rib trim on neck and arms. Fit & Intent: Relaxed Slim fit extra long sleeve with rouching & glovlette feature with a thumb extension. Great for morning runs or post gym hustle. Keeps your hands, wrists, & thumbs warm. Fabric Base Colors: Creme, Grey, Charcoal. Fabric Content: This style is available in Dove, our extra soft heathered 92% Poly, 8% Spandex in 3 base colors: Creme, Grey and Charcoal. Finishing Options: Active seam side seam coverstitch hems. 1/4" rib trim for a clean neckline. Fit & Intent: Tunic silhouette with a high scoop neck, drop shoulder, high side slit (slit to the waist) and extra long sleeves with rouching & glovlette feature( thumb extension). Great for traveling and layering for the post gym hustle. Keeps your hands, wrists, & thumbs warm. 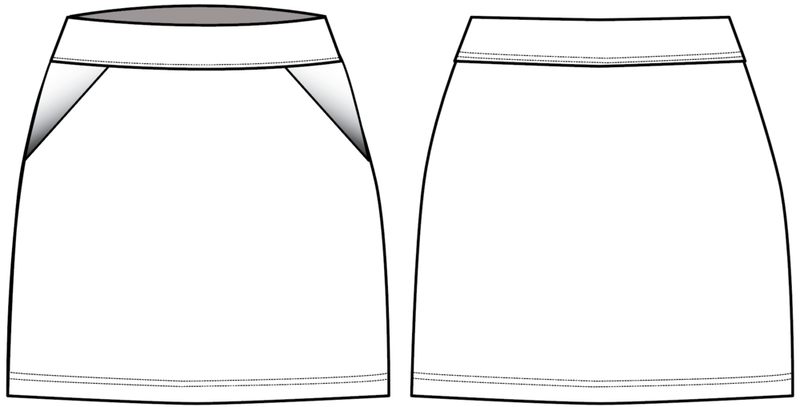 Finishing Options: Active seam side seam coverstitch hems with slit from waist to hem. 1/4" rib trim for a clean neckline. Fit & Intent: This slim fitted crew-neck long sleeve is an ultra soft basic for layering, whether you're jogging, running errands or lounging. Fit & Intent: Draped lapel wrap cardigan with sleeves is a one size fits all travel and post gym staple. Fabric Content: This style is available in Dove. our extra soft heathered 92% Poly, 8% Spandex in 3 base colors: Creme, Grey and Charcoal. Finishing Options: Active seam side seam and center front finish coverstitch hems. Fit & Intent: Sublimated booty shorts with a hem ending 4-inches below low hip (3" inseam). Finished with active seams and a double support waistband. Finishing Options: Active seam or flatlock seam. Coverstitch hem. Eco-impact: No over-production, focus on minimal waste. Fabric sourced in the USA. Made to order in the USA. Fit & Intent: Sublimated Capri with a hem ending 3 inches below the knee (18" inseam). Finished with active seams and a double support waistband. Fit & Intent: Sublimated 3/4 leggings with a hem ending 4-5 inches above the ankle (25" inseam). Finished with active seams and a double support waistband. Fit & Intent: These sublimated, soft and comfortable leggings are a versatile piece with great contouring. They are a go-to piece for your yoga or pilates work out or to wear out and about. The fabric is medium weight with a soft hand feel. Fit & Intent: Relaxed Boxy-loose fit, low U neck, low arm holes, short racerback tank with Active seam side seams and double edge on neck & armhole binding. This tank is best over a sports bra for any work out. Comes in our digitally printable Dove & Power stretch Mesh. Fit & Intent: Medium sized 12"L x 8"H gym clutch with exposed zipper opening on the back and wristlet handle is made from recycled plastic bottles. Fabric Content: This eco-gym clutch is made with our 60% repreve recycled Poly, 40% Poly Water resistant canvas (not water proof) making it ideal to keep toiletries and wet gym clothes separate from the rest of your gym bag. Eco-impact: Made from recycled content, dyed without water & chemicals, no over-production, focus on minimal waste. Fabric sourced in the USA. Made to order in the USA. 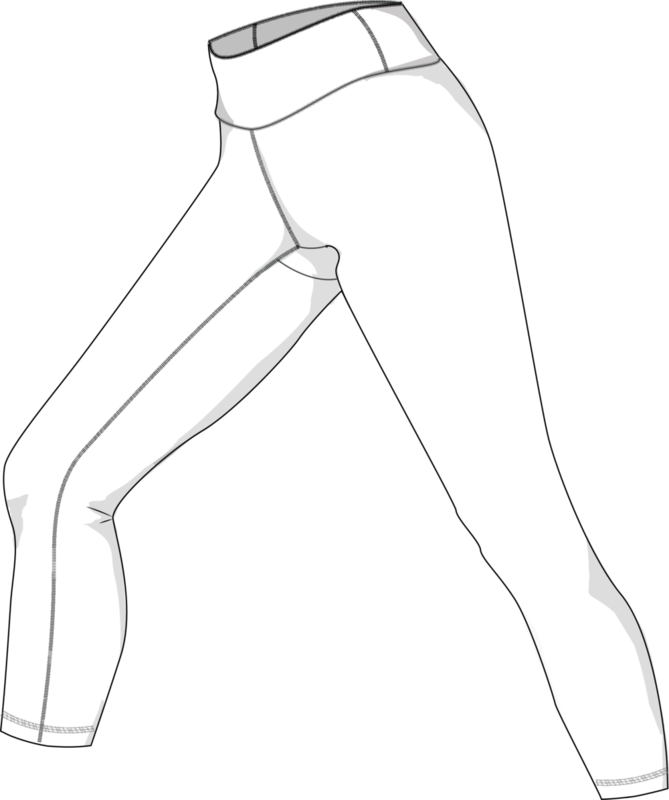 Ziel's High Performance apparel line is designed for women who play hard. Each item is durable, moisture-wicking, and high-performance, but we don't stop there. Our High Performance styles are flattering, comfortable and designed offer support but not restrict movement. This line comes in a black compression base color and can be customized by adding your company's logo. As with all our apparel, Ziel uses only high quality fabrics, tried and true designs, eco-friendly manufacturing processes, and we make each item here in the USA. Fit & Intent: Low support, mesh U- neck sports bra with asymmetrical mesh front & racerback panel. Asymmetrical bra is great for warm ups, jogs, beach volleyball or cardio. Fabric Content: This style is available in our solid Black Compression 72% Micro-Nylon, 28% Spandex with antimicrobial and moisture wicking inserts of Onyx Power Mesh 72% Nylon, 28% Spandex. Logo Placement: Custom logo is available for localized exterior placement in Vinyl and printed interior back panel. Eco-impact: No over-production, focus on minimal waste. Fabric sourced in the USA and knit in Canada. Made to order in the USA. Fit & Intent: Form fitting tank with flattering contouring panels to create a corset-like feminine silhouette. High halter neckline for more coverage. Seams are sewn using active seam for a more seamless feel and finished with self-binding for armhole and back neck. Logo Placement: Custom logo is available for localized exterior placement in Vinyl and printed interior back side panels. Fit & Intent: Form fitting tank with flattering contouring panels to create a corset-like feminine silhouette. Form fitting tank with flattering contouring panels to create a corset- like feminine silhouette. Low neckline for a more coquette cut and back mesh insert for breathability. Seams are sewn using active seam for a more seamless feel and finished with self-binding for armhole and back neck. Fit & Intent: Compression Crop with Low support halter neck, featuring crossover strap back. Finished with coverstitch detail and double edge trim. Fabric Content: This style is available in our solid Black Compression 72% Micro-Nylon, 28% Spandex with antimicrobial and moisture wicking properties. Eco-impact: Dyed without water & chemicals, no over-production, focus on minimal waste. Fabric sourced in the USA and knit in Canada. Made to order in the USA. Fit & Intent: Compression booty shorts with a hem ending 4-inches below low hip (3" inseam). Finished with active seams and a double support waistband. 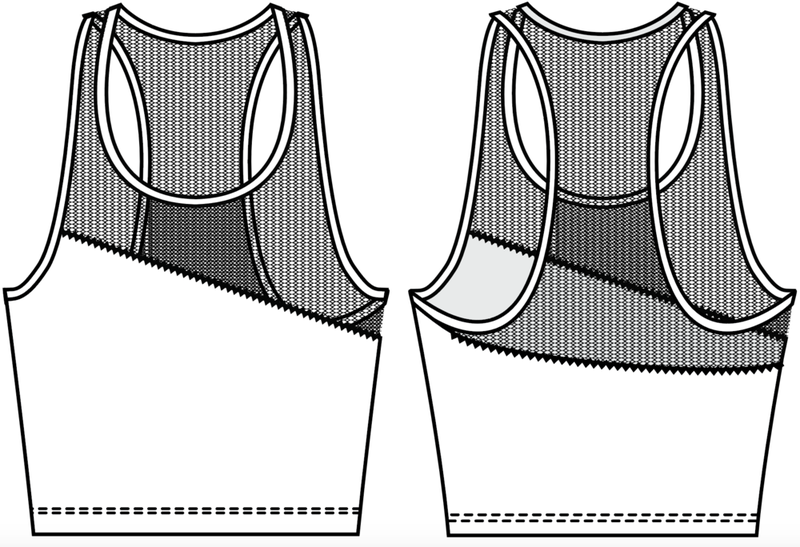 Finishing Options: Active seam side seam coverstitch hems. 1/4" rib trim for neck and arms. Logo Placement: Custom logo is available for localized exterior placement in Vinyl and printed interior back waistband. Fit & Intent: Compression 3/4 leggings with a hem ending 4-5 inches above the ankle (25" inseam). Finished with active seams and a double support waistband. This style is available in our solid Black Compression 72% Micro-Nylon, 28% Spandex. 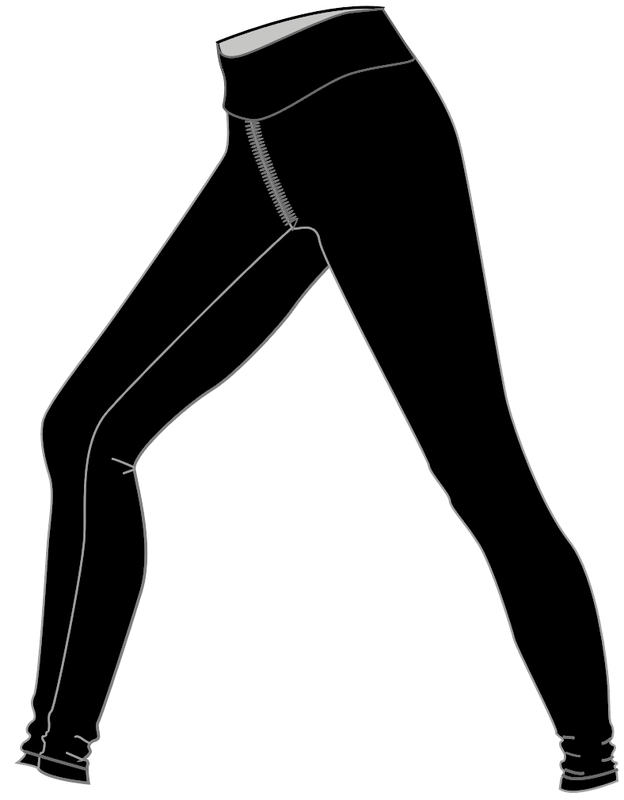 Fit & Intent: Compression Long leggings with a hem ending 4-5 inches above the ankle (30" inseam). Finished with active seams and a double support waistband. Finishing Options: Finished with active seams and a double support waistband. Using the same high-quality, luxuriously soft fabrics as our Women's Classics, Ziel's Men's apparel feels as good as it looks. Our in-house designers reinterpreted these classic styles to create highly comfortable apparel that allows for freedom of movement. Together, we will create apparel that powerfully expresses your brand personality. Choose from unlimited colors, and create designs ranging from subtle logo placement to full garment patterns. As with all our apparel, Ziel uses only high quality fabrics, tried and true designs, eco-friendly manufacturing processes, and we make each item here in the USA. Fit & Intent: A loose, fuller cut t-shirt with dropped arm hole and sewn with active seam side seams for complete comfort. Fabric is quick-drying, soft & has a more natural feel. Moisture wicking sweat & quick dry poly spandex blend. Fabric Content: Available in either of our sublimated poly/spandex fabrics, Dove & Basic. Basic is our 97% Poly 3% Spandex tee weight fabric available in in 2 base colors: White and Grey. Dove is our extra soft heathered 92% Poly, 8% Spandex in 3 base colors: Creme, Grey and Charcoal. Finishing Options: Finished with active side seam & coverstitch hems. 1/2" Jersey binding trim on neck. Fit & Intent: A loose, fuller cut, low cut arm holes and sewn with only one center back active seam for complete comfort. Fabric is quick-drying, soft & has a more natural feel. Moisture wicking sweat & quick dry poly spandex blend. Fabric Content: Available in either of our sublimated poly/spandex fabrics, Dove & Basic. Basic is our 97%Poly 3%Spandex tee weight fabric available in in 2 base colors White and Grey. Dove is our extra soft heathered 92% Poly, 8% Spandex in 3 base colors: Creme, Grey and Charcoal. Finishing Options: Finished with active center back & coverstitch hems. 1/2" Jersey binding trim on neck. Fit & Intent: Compression Fitness Short with a hem ending 1-2 inches above the knee. Finished with active seams and a double support waistband. Fit & Intent: Compression Men's tight with a hem ending 3 inches above the ankle. Finished with active seams and a double support waistband. Fit & Intent: Sublimated Men's tights with hem ending 3 inches above the ankle. Finished with active seams and a double support waistband. 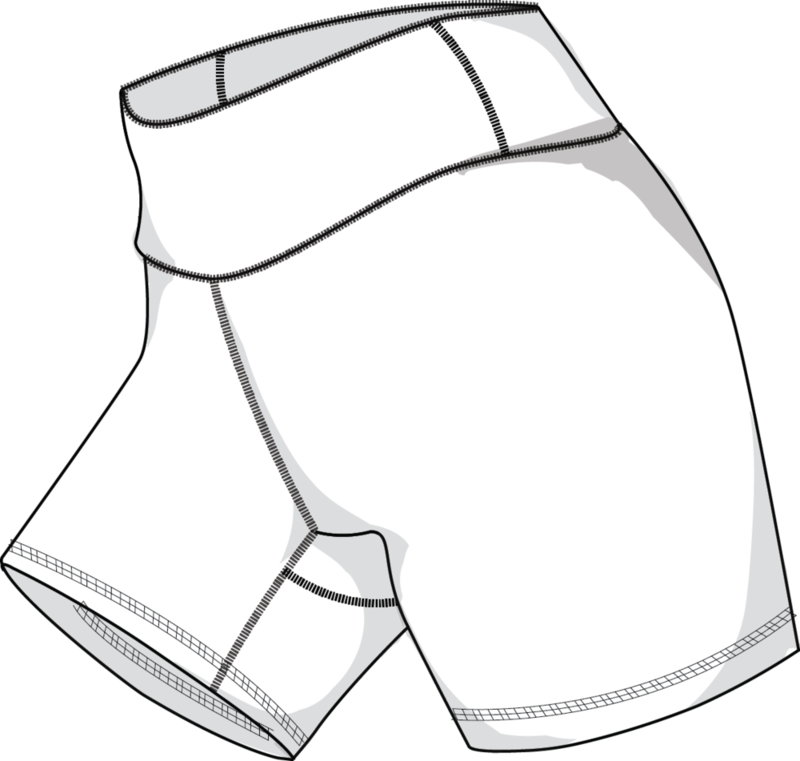 Finishing Options: Finished with active seam or flatlock and a double support waistband. Coverstitch hem. Print Location: Custom all- over exterior print and printed interior back waistband.